Gareth Bale scored twice to give Zinedine Zidane plenty to ponder ahead of the Champions League final as Real Madrid thrashed Celta Vigo 6-0 at the Santiago Bernabeu. Bale began the rout with the first two strikes - the second a brilliant finish into the top corner - before Isco added a third before half-time. Achraf Hakimi demonstrated his huge potential by blasting in Real's fourth having taken Karim Benzema's pass before Sergi Gomez put through his own net as Celta crumbled. Toni Kroos completed the scoring after unselfish play from Borja Mayoral as Zidane's depleted side sent out a warning to Liverpool ahead of their meeting in Kiev. 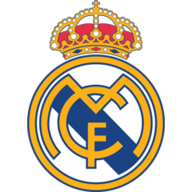 Real Madrid: Navas (7), Achraf (9), Marcelo (7), Varane (7), Nacho (8), Casemiro (7), Modric (7), Kroos (7), Isco (8), Bale (9), Benzema (7). 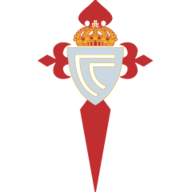 Celta Vigo: Sergio (7), Mallo (5), Roncaglia (5), Sergi Gomez (5), Jonny (5), Lobotka (6), Wass (6), Jozabed (5), Mendez (5), Maxi Gomez (5), Boye (5). The Frenchman had said he hoped his players would put on a show in their final home league game of a disappointing domestic season, and Bale gave the hosts the perfect start, latching onto Luka Modric's pass to fire past Sergio Alvarez via the post. Celta had brief hope when Maxi Gomez fired wide and Jozabed Sanchez's effort deflected in off Daniel Wass, who was in an offside position. There were also Celta claims for a penalty when Brais Mendez appeared to be clipped by Casemiro, before Bale's moment of magic. The Welshman collected Isco's long ball to drift past Jonny down the right before bending an unerring left-foot shot into the top corner after 30 minutes. Two minutes later, Isco got himself on the scoresheet when he picked up Kroos' pass on the left before cutting onto his right and curling his shot beyond the helpless Alvarez. Celta came into the game having not lost to either of Barcelona or Real this season, but they were now on course for a heavy defeat - and things got worse in the second period as Achraf was rewarded for his relentless attacks down the right. The young full-back looks set for a big future at Madrid, and he collected Benzema's lay-off to venture into the Celta box before flashing his shot between the legs of Alvarez. Celta rarely threatened the Madrid goal from the moment Bale broke the deadlock, but they were the authors of their own downfall for the hosts' fifth as substitute Marco Asensio's cross was put into his own net by Gomez with Lucas Vazquez lurking. There was still time for Kroos to add extra gloss to the scoreline as he was found by Mayoral, with the German finding the bottom corner to add to his impressive record against Celta having now scored four goals against them, his favourite opponent in La Liga. While Bale will most certainly grab the headlines for his blistering start to the contest, with his second goal put him firmly in Zidane's thoughts for the Champions League final, but it was Achraf who produced the standout performance. The Spanish-born Moroccan took his opportunity to shine at right back and with Dani Carvajal still recuperating from a thigh injury, Achraf could yet find himself starting against Liverpool in a fortnight. The 19-year-old's second goal of the season was no less than he deserved for an energetic display, providing his side with constant width and ammunition through his crosses while he created his goal for himself by running onto his own pass to Benzema. Real Madrid complete their La Liga season with a trip to face Villarreal at El Madrigal next Saturday, live on Sky Sports Football. Celta Vigo host Levante earlier on the same day.